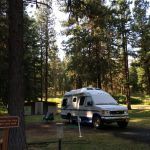 Ask fellow campers about "Ukiah-Dale State Park" and nearby attractions. A really nice primitive park with excellent parking pads and nice surroundings. The creek at the back of the park was a great stress reliever. 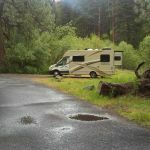 We camped at Ukiah-Dale State Park in a Motorhome. Are you affiliated with Ukiah-Dale State Park ?